day with my friend S; we met again in Canby and spun for hours. 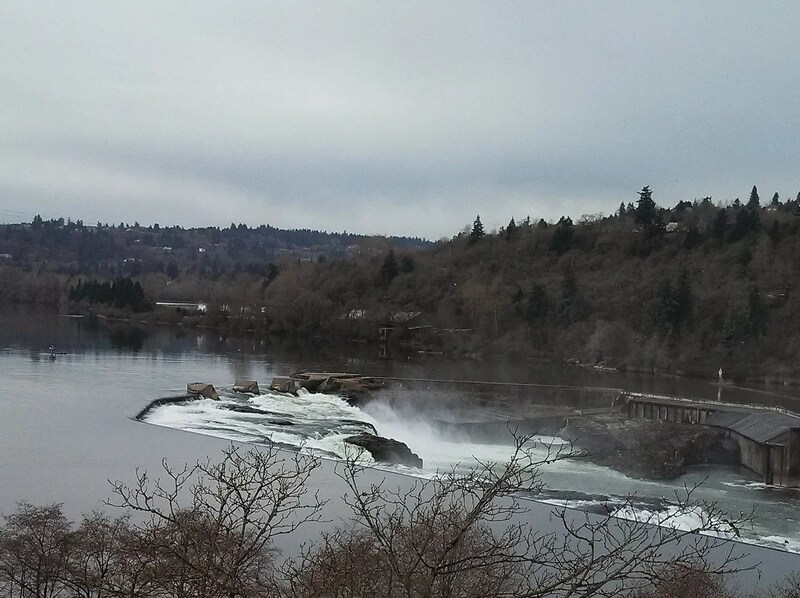 On the way down, I took the obligatory photo of Willamette Falls, as I usually do on a spinning day. Today we had a number of people stopping by to ask us about our spinning; one lady who was knitting at the back of the coffee shop came zooming over to me just before we were about to leave. “Do you know how to knit?” she asked me. She was so relieved! She’s a fairly new knitter and had run into a problem she desperately needed help with. Fortunately, I was able to help her fix it; she was so delighted that she gave me a big hug and told me over and over how happy she was that we were still there. 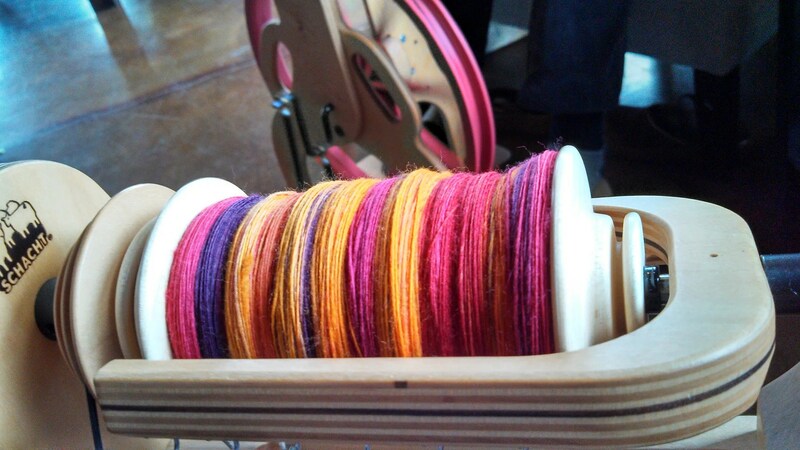 I am well on my way to spinning a second bobbin of this lovely colorway by Patti at Sweet Grass Wool in Montana. S was also spinning up some gorgeous fiber, and when we reluctantly parted for the day, we rejoiced in the fact that it was such a satisfying day for both of us.